Guido Costamagna was born in Milan on August 4, 1952 and graduated in Medicine and Surgery from Università Cattolica del Sacro Cuore, Rome, in 1977. Following the graduation, he undertook post graduate trainings in General Surgery, Digestive Surgery and Gastroenterology and Digestive Endoscopy. 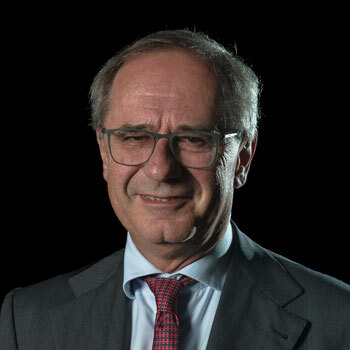 He’s currently full Professor of General Surgery at Università Cattolica del Sacro Cuore in Rome, as well as Head of Digestive, Metabolic and Endocrine Diseases Unit, Head of General Surgery and Surgical Treatment Department and Head of the Digestive Endoscopy Unit at Policlinico Agostino Gemelli Foundation in Rome. 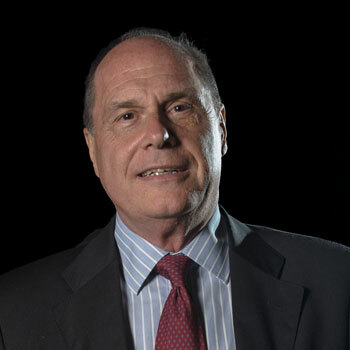 He is also Chair of Excellence at Digestive Endoscopy at the University of Strasbourg Institute for Advanced Studies (USIAS), France, and Scientific Director of the European Endoscopy Training Center (EETC ) in Rome. Furthermore, he is author of over 700 publications including articles, book chapters published both on a national and international level as well as congress abstracts. Nato a Milano nel 1956, frequenta l'École Européenne di Bruxelles per poi rientrare in Italia ed iscriversi all'Università commerciale Luigi Bocconi. Nel 1981 consegue la laurea in economia aziendale e comincia la sua attività professionale nell'area financial control di Citibank S.A., per poi passare - nel 1985 - a Montedison, come direttore della corporate finance per la holding. Nel 1988 entra in Goldman Sachs, inizialmente come responsabile investment banking Italia, per poi diventare responsabile Italia e Chairman di Goldman Sachs SIM SpA. Nel 1999 viene nominato co-head della divisione investment banking per l'Europa, Medio Oriente ed Africa e membro dello European Management Committee e del Global Partnership Committee. Infine, tra il 2004 e 2006 – anno nel quale lascia il gruppo - ricopre il ruolo di presidente della divisione investment banking per l'Europa, Medio Oriente ed Africa. Nel 2006 fonda la società di financial advisory CC & Soci Srl, della quale è presidente. Nel 2007 entra nel consiglio di amministrazione di Reuters Breakingviews. Fonda, nel 2011, Advise Only Sim S.p.A., società che si occupa di finanza personale e di consulenza nella gestione del risparmio online. Dopo esserne stato consigliere d'amministrazione, nel 2012 viene nominato presidente di AAA-Advanced Accelerator Applications, gruppo farmaceutico europeo fondato da accademici europei, specializzato nello sviluppo di prodotti diagnostici e terapeutici nel campo della medicina nucleare. Nello stesso anno, diventa presidente di Salini Impregilo, il principale gruppo italiano attivo nella costruzione di infrastrutture. Costamagna è stato consigliere di amministrazione di Luxottica, Bulgari, del Gruppo Il Sole 24 Ore, di Autogrill e di DeA Capital, tutte società quotate sulla Borsa italiana. È stato anche membro del CdA di Virgin Group Holdings Ltd.
Da luglio 2015 è presidente della Cassa depositi e prestiti. Inoltre, presiede AAA-Advanced Accelerator Applications e la CC & Soci Srl. Siede nel consiglio di amministrazione di FTI Consulting Inc ed è membro dell'International Advisory Council dell'Università commerciale Luigi Bocconi. Da aprile 2016 è anche Presidente di FSI SGR Spa, società costituita dalla riorganizzazione del Fondo Strategico Italiano Spa – FSI (Gruppo CDP), di cui è stato a sua volta Presidente da luglio 2015 ad aprile 2016. Giancarlo Aragona was born in Messina on November 14th 1942. He graduated in Law from the University of Messina in 1964 and embarked on a career in the diplomatic service in 1969. In 1974 he was appointed Consul in Friburgo, he then served as Counselor at the Italian Embassy in Lagos from 1977 to 1980. Upon his return to the Ministry of Foreign Affairs in Rome, he worked as Head of Directorate-General for Development Cooperation of Mediterranean countries and the Middle East. In 1984 he was appointed First Political Advisor to the Embassy in London. In 1987 he was appointed Deputy Chief Representative to the Permanent Mission of Italy to North Atlantic Treaty Organization (NATO) in Brussels. Upon his return to Rome, in 1992 he was assigned to the Ministry of Defence as Diplomatic Advisor. In July 1994 he was appointed Deputy Chief Cabinet to the Ministry of Foreign Affairs and then Chief Cabinet, effective January 1st 1995. He held that position until June 1996 when he was appointed Secretary General to the Organization for Security and Co-operation in Europe (OSCE) based in Vienna. He was Ambassador of Italy to Moscow from June 1999 to October 2001 when, upon his return to the Ministry of Foreign Affairs in Rome, he became Director-General for Political Affairs. In March 2004 he was appointed Ambassador of Italy to London. After his retirement for the diplomatic service in December 2009, he was invited by NATO to join the group of experts responsible for drawing a proposal for NATO reform. From 2010 to 2013 he was Chairman of SOGIN and he was also chairman of the Mediterranean Institute of Haematology. In 2011 he was appointed Chairman of the Institute for International Political Studies (ISPI) and he held this position until July 2016. Since 2012 he’s been serving as Vice-President of the World Conference on Science for Peace organized by Umberto Veronesi Foundation. Born in Venice, he holds a degree in Literature and Philosophy from the University of Venice and a Master’s degree in Linguistics from the University of Texas at Austin. He has spent over thirty years of professional experience with the US multinational corporation Johnson&Johnson in the medical equipment and surgical device sector. Over his career at Johnson&Johnson Italy’s subsidiary, he has held various top management positions until his appointment as CEO. Claudio Cappon graduated with Honors in Economics at the University of Rome in 1974 and majored in Finance and Risk Management afterwards. He’s been working within Italy’s public sector in different fields such as iron and steel industry, building and tertiary sectors. 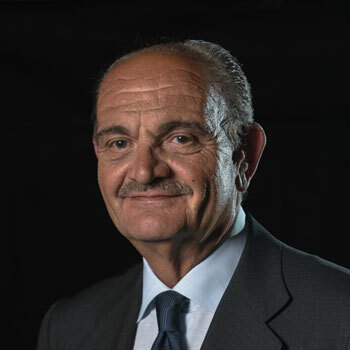 Member of the Directors’ Board at Autostrade and Aeroporti di Roma and Deputy General Manager at Iritecna, in 1995-96 he was appointed General Manager and Chief Executive Officer at Fintecna. Within RAI, from 1998 to 2002 he held positions of Deputy General Manager and of General Manager. In 2002 he was appointed Chief Executive Officer at Consap which is a company of Treasury Division of Ministry of Finance devoted to manage insurance public services. From 2006 to 2009 he was appointed once again General Manager at RAI. From December 2009 to December 2014 he was named Vice-President at the European Broadcasting Union EBU/UER. From June 2012 to December 2013 he was Chairman at RAI World that is a branch of the state-owned RAI devoted to manage Italy’s national public broadcasting sector on an international level. 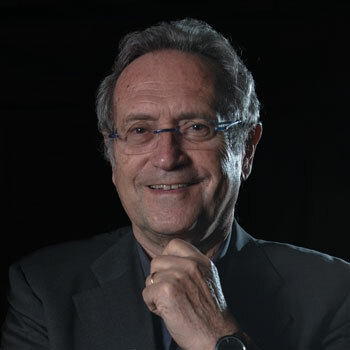 In April 2016 he was appointed Secretary General of COPEAM (Permanent Conference of the Mediterranean Audiovisual Operators). Within the academic field, he is responsible for the Master’s Degree Program “Economic and managerial issues related to Media” at the Faculty of Economics at the University of Rome, Tor Vergata and he’s Professor at the University of Paris, where he holds a quarterly course on the public broadcasting service in Europe within the framework of the Master’s Degree Program “Affaires Publiques” at Sciences Po. Furthermore, he has been appointed Chairman of the Association of Television Producers (APT) as well as member of the Board of Directors in many companies. 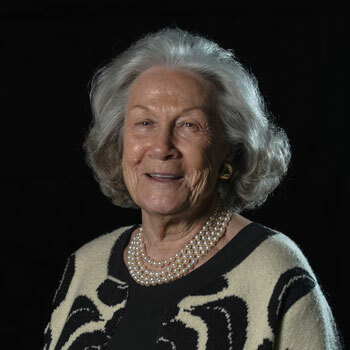 A television and film producer, Camilla Nesbitt made her debut with Berlin-Jerusalem and Gorem, both by Amos Gitai, in competition at Venice Film Festival respectively in 1989 and 1991 and Naples-Berlin by Mika Kaurismaki in 1987. 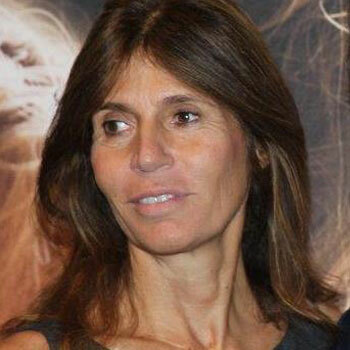 In 1991 she founded Taodue Film with Pietro Valsecchi, beginning a ceaseless production of many movies for cinema including four box office record breaker movies starring Checco Zalone, the biopic on Pope Francis Bergoglio directed by Daniele Lucchetti and the co-production for the latest film Non essere cattivo by Claudio Caligari; as far as television is concerned, Tv hits such as Il XIII apostolo or Squadra Antimafia are worth to be mentioned. Developing a great passion for cinema and drama since his teenage years, in 1991 Pietro Valsecchi along with his life partner Camilla Nesbitt founded “Taodue Film”, a film production company that he currently serves as CEO. 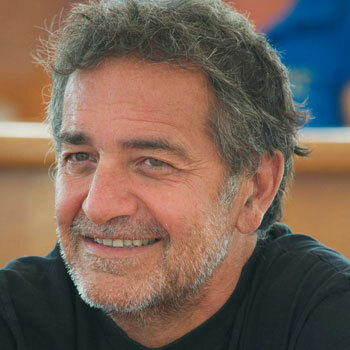 Since the early times of his career, he has shown his greatest willingness to bring to the screen stories about socio-political issues, starting from “Un eroe Borghese” upon Ambrosoli Affair directed by Michele Placido in 1995 and moving on to miniseries receiving great acclaim from the audiences such as “Ultimo”, “Uno Bianca”, “Paolo Borsellino”, “Maria Montessori – una vita per i bambni”, “Il capo dei capi” in 1998 and TV serial “Squadra Antimafia – Palermo oggi” which has been run for eight seasons. Roberto Zaccaria was born in Rimini on December 22, 1941. He’s full Professor of Constitutional Law at the University of Florence. 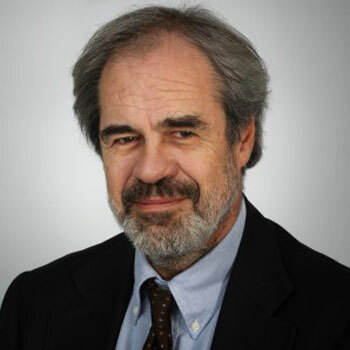 He has taught Constitutional Law, Information Law and Regional Law at the Universities of Florence and Macerata, as well as in Rome at LUMSA University and LUISS University. He’s Professor of the Master’s degree program in Migration studies at the University of Bergamo. He coordinates research groups within Astrid Foundation. He’s chairman of CIR (Italian Council for Refugees). He has been a member of the Italian Chamber of Deputies in the fourteenth, fifteenth and sixteenth Legislatures. He was elected for the first time on the occasion of political supplementary elections in 2004 winning the Milano 3 constituency. He’s been Chairman of the Legislative Committe and Vice-President of the Commission for Constitutional Affairs. He’s a freelance journalist and member of the Association of professional journalists of Lazio. He was Chairman of RAI from 1998 to 2002, and Vice-President of UER (European Public Television Union) from 2000 to 2002. 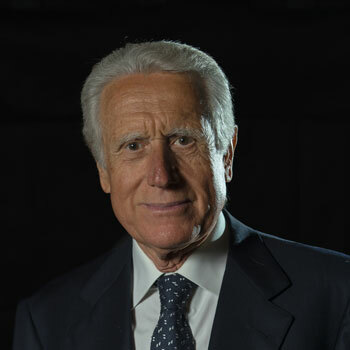 Previously, he served as a Board member at RAI from 1977 to 1993, at Ente Cinema from 1990 to 1995 and at the Bank of Tuscany from 1995 to 1998. Among his many publications, especially worth mentioning is the Manual on Information and Communication Law – 9th edition, Padua, Cedam publisher, 2016.